The hottest movies of the year are coming in January and February. And with DIRECTV on Demand, DIRECTV Cinema and the DIRECTV GenieGo you can watch your favorite movies and shows on any device, wherever you are. FREE Genie upgrade – Record 5 channels you choose and connect up to 4 rooms with one DVR! 195+ Full Time HD Channels – The most of any provider! Refer-A-Friend & Get $100 off Your Bill! Give yourself and your friends a present and refer them to DIRECTV. Refer your friends and family to Its All About Satellites and when they get DIRECTV for their home or business from us, THEY get $100 in bill credits and YOU get $100 in bill credits. Refer up to 10 friends per year for a $1000 savings for you! Sports Fan? Here is what is on for you in January! The NBA Basketball season and all your favorite teams and players are in action all month. You can catch all the exciting, pounding NHL Hockey action on NHL Center Ice this month. NCAA Basketball is on and you can catch up to 40 games per week on ESPN Full Court. If Tennis is your love, DIRECTV offers exclusive, extended coverage of the Australian Open starting January 19th. Watch up to 6 matches at one time with DIRECTV’s exclusive coverage. Are You a Movie Buff? TV Show Lover? DIRECTV brings you the movies you want to see up to a month before any other provider! DIRECTV Cinema gives you instant access to the hottest new Pay Per View releases. New movies are added every week, select new titles available nearly a month* before they’re on Netflix® or Redbox®. Enjoy them on your TV in 1080p HD* or anywhere else, on your laptop, tablet, or cell phone. With your internet connected DVR, DIRECTV on Demand delivers instant access to thousands of your favorite shows on any device. Watch your favorite shows on your TV, tablet, laptop or mobile device anytime. NEW! With DIRECTV on Demand you can also record and watch full seasons of many of your favorite shows including Dr. Who, The Walking Dead, Scandal, Storage Wars, The Voice and many, many more with series and seasons being added daily! DIRECTV has 195 full time HD channels. No provider has more. DIRECTV Best Savings Ever offer has packages starting at just 19.99. No subscription provider has packages for less. Watch your favorite teams on exciting Mountain West Conference basketball with 10 games on ROOT SPORTS, 13 games on CBS & CBS Sports, and 10 Games on ESPN in January. Catch exciting SEC Conference Sports action in January on Channel 611 on DIRECTV – The new SEC Network. The SEC Network on DIRECTV will deliver at least 40 exclusive SEC basketball games in January alone! NHL CENTER ICE gives you up to 40 out-of-market games per week. From the first face-off to the final stretch of the season, you’ll feel the excitement of the game as you watch all your favorite teams and players. Plus, you also get NHL Network™ during the season at no additional charge. Just 39.99 per month for 4 months! Get a courtside seat to the most NBA action with NBA LEAGUE PASS on DIRECTV. With up to 40 out-of-market games a week*, 99% of them available in amazing HD**, you’ll be on the hardwood wherever you are—watching your favorite teams and players on your TV, computer, tablet, or phone. Ask about the Special Holiday Offer! after they aired. Plus, watch them instantly with a click of your remote. expands your ability to catch up on past episodes without having had to record them. Restart will become available two minutes into the program.“Restarted” content cannot be fast-forwarded or recorded. recordings or channels to which the tuners was tuned. $100 IN BILL CREDITS FOR YOU. 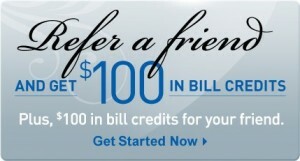 $100 IN BILL CREDITS FOR YOUR FRIEND! You will get $100 in DIRECTV bill credits for referring them to It’s All About Satellites for DIRECTV and Your Friends will get $100 in DIRECTV bill credits on top of the already low priced new customer offer. Your Friends & Family just call It’s All About Satellites at 505-296-9423 or 800-951-1979 and give your telephone or account number when ordering. Have DIRECTV at your home & Want DIRECTV at your business too? Its All About Satellites is your DIRECTV for Business experts in New Mexico and across the Southwest USA since 1996! providing your customers with the best TV experience available! DIRECTV Bundles Save You Money!